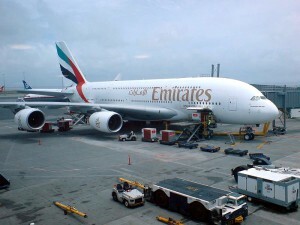 The Emirates announced the launch of a new daily 16-hour direct flight to Orlando a few months ago. The daily service started on Tuesday when an Airbus A380 touched down at Orlando International Airport just after 11:30 a.m. East Coast time. A water salute welcomed the Airbus A380 when it landed at Orlando International Airport as it was the first of its kind ever scheduled to land at the airport in Orlando. 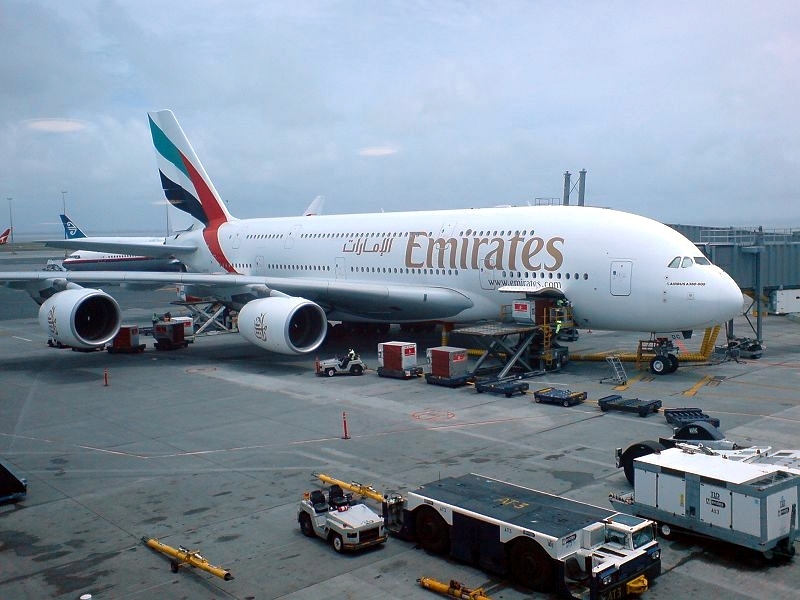 The inaugural daily non-stop flight – Emirates Flight 219- was nearly full. It carried passengers from over 29 countries, including the U.S., South Asia, the Middle East and Africa. The Emirates’ flagship aircraft featured two shower spas and a lounge for its guests. It also had 14 first-class suites and business-class seats on the top level and 399 economy seats on the bottom. However, passengers flying to and from the world’s theme park capital will fly on a Boeing 777-200 LR which accommodates 266 passengers, including eight first-class suites, 42 business-class and 216 economy seats. The flight aboard the Boeing will leave Dubai daily at 3.50am and land in Orlando at 15 hours and 50 minutes later, at 11.40am ET. The return flight is scheduled to leave Orlando at 2.40pm and land in Dubai at 12.30pm UAE time the next day in 14 hours and 10 minutes. About 400 of Florida’s top travel and business leaders and airline executives gathered at the Dr. Phillips Center for the Performing Arts Center Wednesday night to celebrate with a gala the new nonstop services on Emirates airlines. The formal dinner event was attended by Roger Dow, president and chief executive officer of the U.S. Travel Association, Frank Kruppenbacher, chairman of the Greater Orlando Aviation Authority, and Buzz Aldrin, former American astronaut. The route is the airline’s 10th to the United States and it is expected to spur business opportunities and cultural exchange both in Dubai and Orlando. $100 million annually is the estimated economic impact of the new daily flight from Dubai to Orlando, Frank Kruppenbacher said in a news release.